When the state of Georgia told Elizabeth Handy and Bilal Walk they couldn’t give their daughter ZalyKha Graceful Lorraina the surname “Allah”, the couple decided to take their fight to court. In their eyes, they should have been allowed to give their daughter any name they wanted, and the state had over stepped the line and infringed their constitutional rights. Although some US campaigners argue that the right to call a child whatever you want is guaranteed by the Constitution, each state has its own rules. 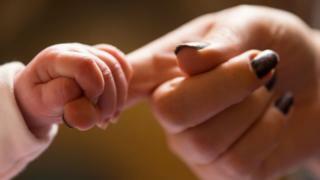 In Georgia , parents have the right to give the child either of their surnames, or a combination of the two. They cannot be given a brand new name on their first birth certificate, although it can later be changed. In Louisiana, the law stipulates that the mother’s maiden name must be used if unmarried, or the father’s surname if they are – unless both parties agree to change it. Some, like Arizona and Washington, restrict the number of characters a surname can be, while others, like Texas, restrict the use of accents and umlauts, according to TheBump.com. New Jersey bans people from naming their children after an obscenity. However, MyCentralJersey reported it did not go as far as to stop self-proclaimed Nazi Isidore Heath Campbell, who named his child Adolf Hitler, changing his own last name to Hitler this month. But had baby ZalyKha been born in Alabama, she could have taken whatever surname she wanted. So what about the rest of the world? France demands a child has only the name of their father, their mother or a hyphenate of the two. 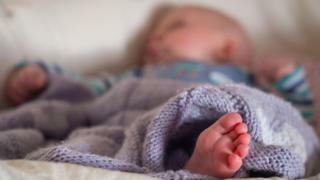 Those wanting to change their names later in life are also likely to face massive hurdles – and only have their request granted if the reason for wanting a new surname fits in with a handful of very specific reasons, including bearing a name which is considered “ridiculous or pejorative”. But since 2005 men have been able to change their names to that of their wives legally. Why do some countries regulate baby names? In Japan, a woman must take her husband’s surname – a law dating back to the 19th Century, held up by the Supreme Court in 2015. Babies must take the name of their father, if their parents are married, or their mother if not. Icelandic surnames are slightly more complicated: you do not take the surname of your father or mother, but their name followed by “son” or “daughter of”. They are also not allowed to take their spouse’s surname – unless their husband or wife happens to be foreign, and wants to take their Icelandic name. The UK and New Zealand, by contrast, have among the most liberal rules on the matter. Parents may give a child a completely different surname, or take that of one, or both, of the parents. In exceptional cases, however, officials can refuse to register a name deemed to be vulgar or offensive.